"1989! Another... another summer." Except that it was anything but "another summer." As Public Enemy's message of political revolt in "Fight the Power" inspired a nation of millions to fight back, political upheaval around the globe inspired people everywhere. 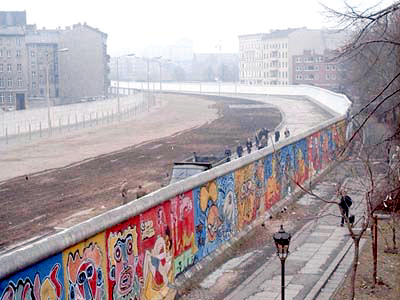 The Berlin Wall fell. The Solidarity party won election over the Communist party in Poland. F. W. de Klerk replaced P. W. Botha, signaling the beginning of the end of apartheid in South Africa. Political changes reflected newly won freedoms for oppressed people and vice versa all around the planet. It was a monumental year for change, and the clarion call of Carlton Douglas Ridenhour b/k/a Chuck D led the way. "Our freedom of speech is freedom or death - we got to fight the powers that be!" Although Public Enemy dominated both my personal and political landscape (to the point I wore a chain with the silhouette crosshair logo hanging from my neck everywhere I went), it was not solely about revolution in 1989. The arrival of Yo! MTV Raps the year before signaled another shift in the commercial viability and popularity of hip-hop, expanding not only the number of hip-hop videos being made but the range of locations they could be seen. Rap was too big to be limited to MTV, as competing shows like "Pump It Up!" and "Rap City" would soon follow the success of Yo - both debuting in 1989. Check out the first ten rap songs that reflected the new power of hip-hop right HERE below, and then check out part two of the top twenty at the link. If this is your first time rewinding to 1989 (a great many of you reading will have been born after 1990) you'll discover that hip-hop became what it is today because the success of these songs and videos led the way. It was more than "another summer" or "another year" - '89 was special. 1.) Public Enemy - "Fight the Power"
2.) Boogie Down Productions - "You Must Learn"
3.) Ice-T - "You Played Yourself"
4.) EPMD - "So Whatcha Sayin'"
5.) N.W.A. - "Express Yourself"
6.) Biz Markie - "Just a Friend"
7. MC Lyte - "Cha Cha Cha"
8.) De La Soul - "Buddy"
9.) Nice & Smooth - "Funky For You"
10.) Self Destruction All Stars - "Self Destruction"